"Being a provisional trainer is like an unexpected gift you receive. You are the first face of Junior Auxiliary new recruits. 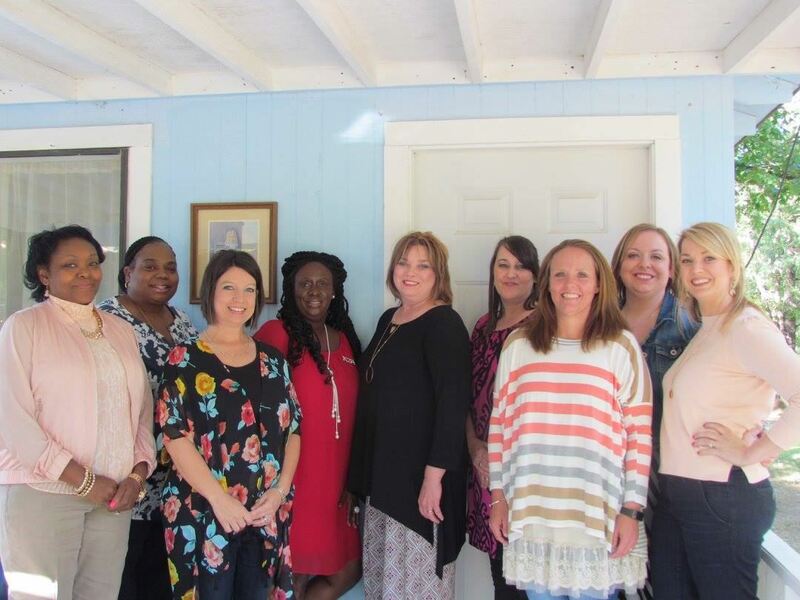 You are the first step in building new friendships and you get the opportunity to meet other women with the one passion....the passion is to volunteer and serve children and families here in Lincoln Parish. A new beginning to an ongoing legacy of providing hope." Every year, the members of Junior Auxiliary of Ruston celebrate all that we have accomplished in our fiscal year. We fund-raise, we serve, we love what we do! But we couldn't do it without the members. We congratulate our newest active members and are proud of everything they have accomplished this year. A special congratulations to Annette Straughter for winning Provisional of the Year Award! Congratulations to the Provisional class of 2015-2016 as they officially became active members of Junior Auxiliary of Ruston at the End of the Year Award Ceremony on April 17, 2016. Summer Hammons trained these ladies throughout the year and she did a fantastic job! All of these ladies worked very hard this year and successfully completed their Provisional Project, Second Life Uniform Exchange Program where they collected, sorted, and distributed free school uniforms to students in Lincoln Parish. A big congratulations to Provisional of the Year- Rose Kebe, Leadership Award Winner- Amanda Lonadier, and GEM(Going the Extra Mile) Award Winner- Jamie Roberts. Congratulations to each of you on your accomplishments this year. Welcome to Junior Auxiliary of Ruston. We look forward to serving with each of you. The 2014-2015 Provisional Class had an amazing year of learning and service! Their journey included training each month with Christol Sterling, experiencing fellowship and friendship with one another, introducing their provisional project "The Pearl Ball" (which is now a permanent service project) and volunteering in existing projects. We officially welcomed them as active members in April 2015 and we know they have an amazing future as volunteers and leaders of Junior Auxiliary! Congratulations to Leadership Award Winner, DeShae Pardon, GEM(Going the Extra Mile) Award Winner, Melissa Bullock & Provisional of the Year, Jennifer Haberkost!!! "My desire to join Junior Auxiliary was to leave an incredible legacy for my children. That they will have a desire to help others as God has called each of us to do. During my provisional training I learned how to work with like hearted people who also have different opinions. 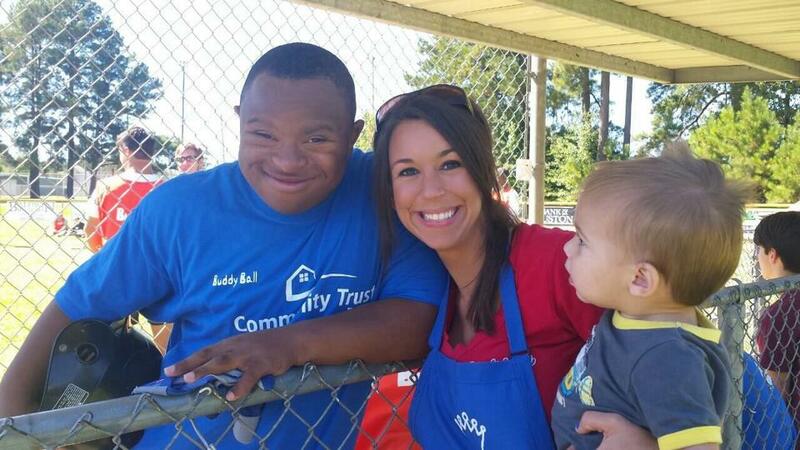 Pulling together, changing and impacting the lives in our community by serving others. Being impacted ourselves through their smiles and testimonials of the people we help serve. I have pulled close to these girls and feel like they are now a part of my family. Junior Auxiliary for me is already a life time commitment. I pray to be able to work alongside my daughter on her future projects in JA and even maybe one day my grandchildren. "